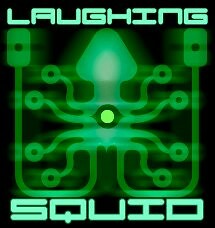 When I founded Laughing Squid in November 1995 the first step was coming up with a unique name. That was hard enough, but trying to come up with a good squid themed logo is next to impossible. Squid are not logo shaped and artists often have a difficult time representing all 10 tentacles. Here’s how our logo has evolved over the years. 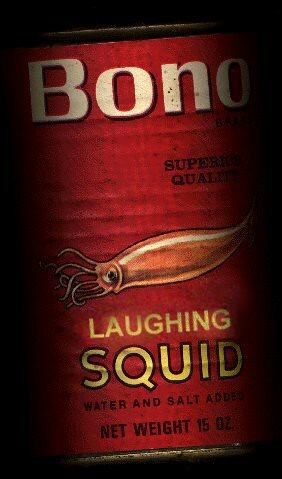 Early on I created this canned squid logo by scanning an actual can of “California Squid” a friend had given me, replacing the word “California” with “Laughing” (my first real attempt at Photoshop). It was on our splash page (.com) which used to separate the content (.org) and web hosting (.net) sides of Laughing Squid. In 1999 I commissioned the San Francisco graphic design company Dichotomy to create a business-like logo for us to use for our newly launched web hosting services. In 1999 I commissioned my friend, San Francisco artist and performer Hal Robins to create our first real logo. 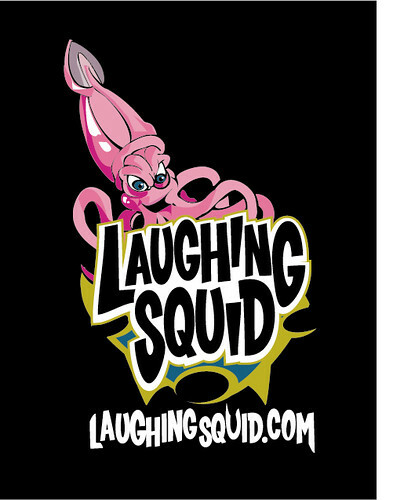 Hal, who has a background in comics, made this light-hearted logo of a squid wearing glasses who is literally laughing. 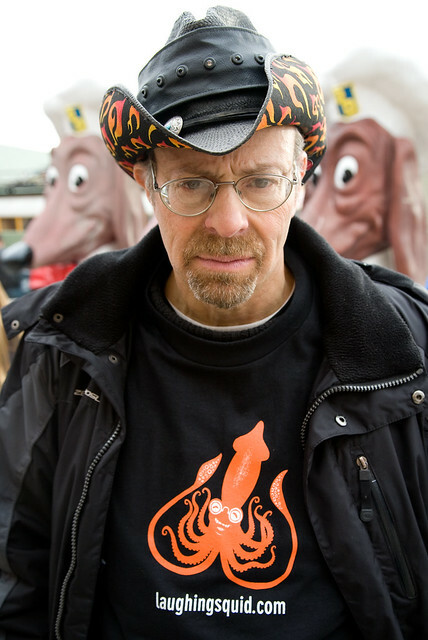 Hal’s logo was used on our first ever Laughing Squid t-shirt, seen here being modeled by Louis Brill. In 2000 I commissioned my friend Attaboy (co-founder of Hi-Fructose) to create a logo that we used for a while. Then in 2000 we had a defining moment in our history. 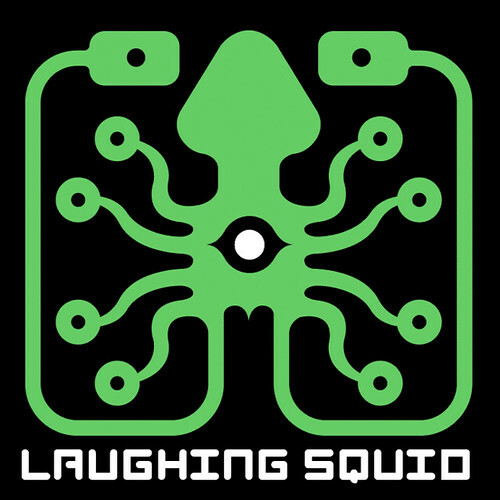 Matt Dong, one of the subscribers to our San Francisco Bay Area events list The Squid List, created an amazing logo that he gifted to us as a thanks for providing the services of the list to the community. As soon as I saw it I knew that it was the perfect logo for us. I asked Matt if we could use his design as our main logo and he allowed us to, never once charging us anything for his design services. He even re-designed the logo, creating the familiar, less stylized 3 color version. From there we eventually switched the type to VAG Rounded, creating the recognizable logo that we have used everywhere for the last 11 years, including on our websites, t-shirts, stickers and mugs. We are eternally grateful to Matt and the wonderful gift he gave us. It has served us well.